Welcome to our golf communities page where you will find neighborhoods with beautiful homes, golf courses, pools, clubhouses gated communities, lakes, mountain views and more. The homes in Greenville, SC's gated golf communities are both new, and mature, reasonable and luxury. The luxury homes dominate the gated golf community offerings. The homes have the benefits of golf, mountain views and for many of them mountain lakes and lake views. The luxury gated golf homes offer everything you could want in a luxury home, an oasis away from the stresses of every day. Greenville, SC offers gated golf homes in Chanticleer Townes, Cliffs Valley, Hunters Ridge, Mountain Lake Colonies and The Cliffs at Mountain Park. Spartanburg, SC had the gated golf community offerings of Woodfin Ridge, Carolina Country Club and The Cliffs at Glassy. Oconee has the Lake Keowee and many gated golf communities surround that beautiful mountain lake. The gated communities in Pickens, SC also share Lake Keowee and it's beautiful scenery. 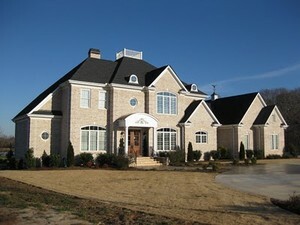 The greater Greenville gated golf communities in Pickens have a large share of The Cliffs communities among others. The Reserves at Lake Keowee, The Cliffs at Keowee Springs, The Cliffs at Keowee Vineyards, and The Reserve at Village Point Enclave. Greenville Country Club is the oldest and one of the most prestigious full-service country clubs in Greenville. The country club offers a beautiful and well maintained 18-hole golf course and driving range, six clay and two asphalt tennis courts, a swimming complex, banquet and meeting rooms, and member dining. Holly Tree Country Club is a member-owned club built in 1973. Holly Tree is located in the Southeast part of Greenville County, off Highway 14, near Woodruff Road. Holly Trees 18 hole golf course is laid out over rolling Piedmont terrain. The course was designed by George Cobb and plays 6,790 yards from the blue tees, 6,340 yards from the member tees and 5,234 from the women and junior tees. 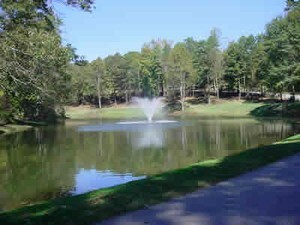 The course is designed on rolling countryside around four beautiful lakes and Gilder Creek. Pebble Creek and Linkside communities enjoy Pebble Creek golf course that has 36 championship holes set over 500 acres of ponds, natural dogwoods, and mountain fed creeks. 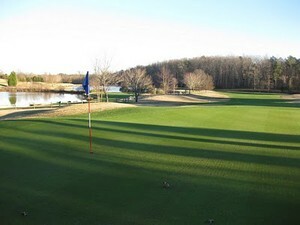 The Linkside course has long been regarded as one of the best 18 holes in the state of South Carolina. The Creekside course measures almost 6,500 yards and is playable for golfers of all ability levels. Established in 1990, River Falls is a public golf course and residential community. At River Falls you will find beautiful landscapes, a fabulous restaurant, friendly staff, and much more. River Falls is located near the intersection of Interstates 85 and 26, offering a convenient location for your golf and dining experience. Thornblade is a premier, luxury community that is centrally located in Greer, SC near Interstate 85. Community amenities include a master planned 18-hole golf course designed by Thomas Fazio, eleven tennis courts, competition-sized swimming pool, and a custom built clubhouse with full banquet services. Conveniently located just minutes off I-85 between Greenville and Spartanburg, South Carolina, Willow Creek Golf Club is the perfect location for your next round of golf. The spectacular golf course and friendly, knowledgeable staff will make your round at Willow Creek one to remember. Come see why Willow Creek is the favorite choice among many area players! The Cliffs Communities, a group of high end golf communities in the Upstate of South Carolina and western North Carolina, has mad the top ten in Travel + Leisure Magazine again. This year they came in number five out of the 100 communities, up from the number seven spot last year. The communities are known for homes in natural settings on world class golf courses, as well as wellness centers, amenities, and reciprocity with the other communities. Tiger Woods will also design his first golf course at the Cliffs in High Carolina. Ben Wright-designed 18-hole championship golf course nominated as the country's best new course by Golf Digest in 1996 and home of the annual BMW Pro-Am Charity Tournament, 28,000 sq. ft. The Valley Clubhouse, 15,000 sq. ft. state-of-the-art Wellness Center (completed 2002), Olympic pool, six clay and two Har Tru tennis courts with a full-time pro, event fields for soccer or softball, a full-court lighted basketball court and children's playground, Panther Mountain Park, a 200-acre private park for residents with paved fitness trails, mulched hiking and biking trails, trout ponds, picnic and nature areas. The Cliffs at Keowee is a collection of three incredible gated mountain-lake residential neighborhoods located on the shores of 18,500-acre Lake Keowee. In addition to living on Lake Keowee, members of The Cliffs at Keowee neighborhoods stay connected through a planned inter-community water taxi, and currently share amenities that include championship golf courses, 24-hour gatehouse attendants and roaming security, Full service private marina, 10,000-square-foot Wellness Center, Keowee Club Cottage, waterfront Lakehouse Restaurant, Equestrian center with training and riding rings, stabling barn and over 200 miles of riding trails. Jack Nicklaus Signature Golf Course, Water-skiing, boating, kayaking and swimming on 18,500-acre Lake Keowee, The Orchard House, a 20,000 square foot golf clubhouse with casual and upscale dining, Lakeside Pool Pavilion, Racquet Club, Interim Fitness Room with state-of-the-art Nautilus fitness equipment, Guest House with suites available for property owners and their guests, 5 miles of marked hiking trails. Located in Seneca, South Carolina near Lake Keowee, Cross Creek is a private country club community nestled into the foothills of the Blue Ridge Mountains. Cross Creek Plantation boasts a superb championship 18-hole golf course designed by nationally- known golf course designer, P.B. Dye. Private golf course community on the shores of beautiful Lake Hartwell. Chickasaw Point offers lakefront property, golf course and interior wooded home sites with a full range of amenities and activities to match your lifestyle. Located just north of beautiful Greenville, South Carolina off of Highway 25 Near, Furman University. Green Valley has established itself as a premier golf living community in the upstate of South Carolina. Green Valley Country Club was established in 1958. Green Valley golf course was designed by George Cobb and renovated in 1992 by Tom Jackson. Located at the base of Paris Mountain and within minutes of Furman University and entertaining downtown Greenville, Green Valley offers a peaceful retreat to a place you would be proud to call home.